Mangaluru: The internal differences in Dakshina Kannada unit of the Communist Party of India (Marxist) has deepened with a leader of its Belthangady taluk unit B.M. Bhat and some other members of the party raising a banner of revolt against three top leaders of the district unit. Addressing presspersons in Belthangady on Thursday Mr. Bhat, secretary of the Belthangady taluk unit, said that he and 252 members of 29 branches of the party within the taluk have resigned from the party protesting against, what they alleged, “autocratic” leadership and “anti-party constitutional move” of three leaders. The taluk unit has 38 branches with 323 members. 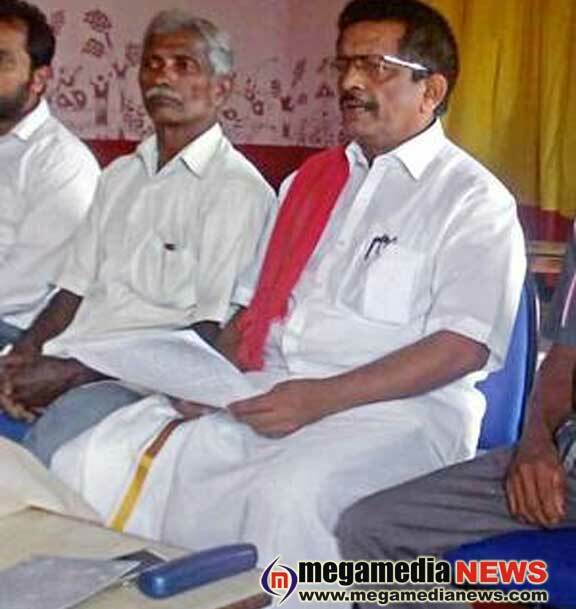 He said that the party higher-ups should expel Vasantha Achari, secretary, district unit of the party, K.R. Shreyan and J. Balakrishna Shetty, the party leaders who are members of the district committee, from the party as they were taking unilateral decisions. The party workers who have resigned did not have trust in the leadership of the three. Mr. Bhat said that as per the constitution of the CPI (M), the membership of the party workers should have been renewed before March 31. But the district unit has not taken any step to renew the membership in 30 branches. Though the taluk unit renewed the membership and sent to the district unit, it has not acted upon it. Now, the taluk unit will send it to the State unit for renewal. Mr. Bhat said that the workers have sent their mass resignation letter to the district unit on March 27. He said that those who have quit the party will hold a public meeting in Belthangady on April 10 to decide their future course of action. All like-minded people have been invited to it. Meanwhile, Mr. Achari had told reporters in Mangaluru on March 5 that the party had expelled Mr. Bhat for “anti-party activities”. Asked about it, Mr. Bhat said that he has not received any communication on the same from the party. He said that their revolt was against the three leaders and not against the party as a whole. Henceforth, they would deal directly with the State unit. Meanwhile, the CPI (M) on March 5 announced candidates for Mangaluru, Mangaluru City South, Mangaluru City North and Moodbidri Assembly constituencies. It has not announced candidates for Belthangady, Puttur, Sullia and Bantwal Assembly segments.